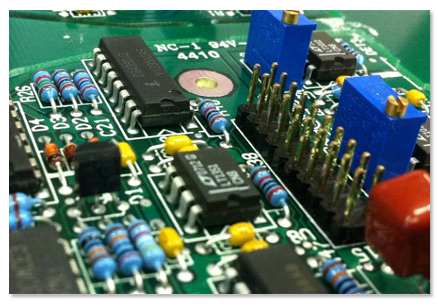 Our PCBA services encompass both through-hole (conventional) and surface mount technology (SMT) assembly capabilities. We assemble rigid, flexible or hybrid rigid-flexible printed circuit boards. Often we are a strategic partner to our customer from initial production of prototypes (as part of our NPI process), through to the ongoing manufacture of complex, multi-technology PCBAs in low, medium or high volumes. We also often start with customer projects from the volume production kickoff stage in which our quick turnaround, expertise and cost-effectiveness are always core value propositions. 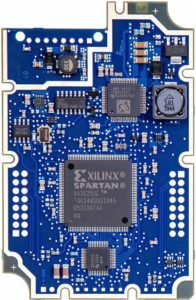 Or, we can automatically feed, form and populate through-hole components to PCBs, and using our leaded or RoHS compliant lead-free automatic wave solder machines for best efficient through-hole assembly processes. A gem in the EMS industry, Span has all the required Universal axial, radial, and tubular dip automatic insertion machines that can most cost effectively produce through-hole assembly. Or, we can manually form, populate and solder through-hole components to PCBs, and soldering process either by hand or by using our automatic wave solder machines, leaded or RoHS compliant lead-free. Industry IPC-A-610 Rev C Class 2 or 3 standards will be used throughout manufacturing process. Span has invested in people, processes and some of the finest equipment available. This approach has enabled us to deliver to customers’ requirements – in terms of cost effectiveness, flexibility, responsiveness, quality and lead-times. We have eight modern Universal, Juki and Zevatech surface mount pick & place machines, configured as four fully integrated SMT lines, for the main production. Each line has a MPM fully automatic solder paste screen printer and a Vitronics 8 zone convection oven, connected with automatic conveyors, and in-line Mirtec automatic optical inspection (AOI) system. Span’s modern pick & place machines use rapid-change intelligent feeders that can handle components from 01005 passive components to ball grid array (BGA), and chip scale package (CSP) fine pitch devices. All common (and less common) PCB substrate materials are populated, including FR4, flexible, rigid-flexible and metal backed laminates. Leaded (if RoHS exempt) and RoHS compliant Lead-free processes are available, both to IPC-A-610 class 2 or 3 as required. Solder paste printing is a critical process, which our modern MPM automatic screen printers achieve accurately and consistently. They all have built-in, 2D optical inspection for verification for ultra-fine pitch printing. Solder paste reflow is carefully profiled and processed using Victronics 8-zone convection ovens. Our SMT processes are supported by experienced IPC trained technicians, using the latest technology equipment for process set-up and verification. First-off verification is diligently performed to ensure all pick & place machines are using the correct component according to the BOM, verifying for all the processes and parameters are according to our barcoded process router and control plan, and all process quality is inspected and verified, assisted by using Mantis (4x-10x) inspection scope and using our modern Nicolet X-ray imaging system for BGA inspection. Any SMT assemblies can be AOI inspected, using in-line Mirtec AOI systems. 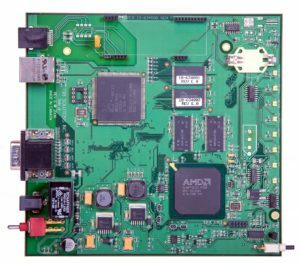 Experienced IPC trained quality inspectors, using Mantis inspection devices (4x – 10x) inspects and service all PCBA 100% with visual inspections according to IPC 610 C Class 2 or 3 standards. Our materials control facilities include baking ovens and dry storage chambers for correct conditioning and storage of components and assemblies. As well as investing in surface mount technology, Span has also fully equipped through-hole assembly capabilities. We have a skillful workforce of which most of them has been working in Span for over 20 years. These IPC-A-610 trained operators and technicians have an array of tools and equipment at their disposal, to enable them to perform all the operations required by Span’s customers. Through-hole components can be fully automatically formed and populated by our three dedicated Universal auto-insertion machines capable for axial, radial or tubular dip components for any volume production, or can be manually formed, populated and soldered by hand or by automatic wave soldering processes. Our Electrovert and Folungwin wave solder machines are dedicated for leaded and lead-free automated soldering capabilities, depending on product requirement. Manual conformal coating and encapsulation services are also available if required, for customers whose products operate in environments where safety, security or humidity are an issue. With both leaded and lead-free soldering, we have no-clean, and aqueous cleaning processes available. All circuit board assembly processes can be completed with functional or HP and GenRad in-circuit ATE tests if required. Sourcing, or the identification and vetting of suppliers, is a function that occurs prior to procurement. An effective sourcing process will put reliable, affordable suppliers in place for the procurement of goods from those suppliers, and will make procurement more successful overall. The term ‘procurement’ is often used quite broadly, and some of the responsibilities that technically qualify as ‘sourcing’ responsibilities can get swept under the procurement umbrella. This may make sense for some smaller organizations, but typically these two functions are best examined as distinct systems with their own challenges, goals, and KPIs. For example, sourcing would first be tasked with assessing purchasing needs, building sourcing plans, conducting market research, identifying and evaluating suppliers, and selecting the most suitable supplier or suppliers for the need. The procurement department would then be responsible for budgeting, ordering, verifying product details, communicating with suppliers, monitoring order activity, maintaining proper receipt methods and reconciliation, and sending all transactional information to accounting and payments. Procurement metrics might include things like cycle time, quality, and cost per purchase order. Both sourcing and procurement maintain high levels of interaction with suppliers, but may use different tools to do so. Each generates its own actionable data that can be used to continually refine its process. Span sourcing team may use dedicated tools to help speed up the process of combing through purchasing activity, transaction history, supplier lists and performance, and spend analytics to identify both weak points and areas of hidden potential. They will be looking far deeper into each supplier’s history and risk potential than will procurement staff. Span sourcing & procurement team concerned primarily with acquiring the product that best meets a project’s needs of quality, time, quantity, and location—all at the best possible price. 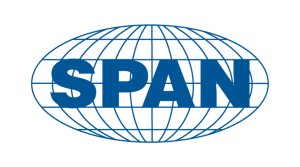 Span has long term partnership with many distributors and direct component OEM sources enabling the best solutions for any project needs.